Thanks to ruletheweb.co.uk for making the image generator we used. 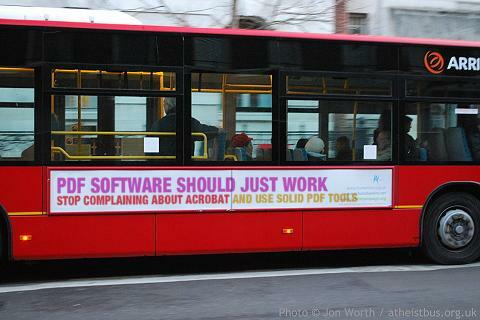 You can make your own bus slogan at http://ruletheweb.co.uk/b3ta/bus. Recently a computer worm, variously known as Downadup, Conficker or Kido, has infected as many as 15 million Windows computers (possibly more at the time of this writing). Although we don't yet know why this worm was written, similar worms in the past have been used for spamming, stealing credit card details and other nefarious things.